Peter Dziedzic is a Fulbright grantee studying Sufism in Morocco. Among his interests are the practices of pilgrimage and saint veneration in the ancient city of Fes. Peter will soon expand his research on these phenomena to other parts of the Islamic world. He eventually hopes to pursue comparative work on sainthood in Christianity and Islam. The ancient, sprawling medina of Fes, Morocco has been a center of pilgrimage for centuries. Colloquially, it is known by both locals and foreign visits as medinat ul-awliya, the city of saints. It is a city where the wisdom of Sufi masters has been taught for over a thousand years and where shurafa, the descendants of the Prophet Muhammad, have been honored for their sanctity. It is a city at intellectual and religious crossroads, where students from across the country and region would study Islamic law at the Qaraweyyn university. Because of these factors, the city evolved into a home where many luminous figures of the Islamic tradition were buried and enshrined. Visiting their graves, and the development of rites associated with such visitation, has become an enduring religious practice of Fes and a hallmark of Moroccan Islam. With the support of a Fulbright research grant, I am studying the traditions of pilgrimage and saint veneration in Morocco. This research entails both field research and textual studies. I am visiting the major and minor sacred sites of Fes, observing the particular rites of visitation for each shrine, and collecting details on the various votive offerings and intercessory powers associated with each saint. Concurrently, I am studying the Salwat al-anfas wa muhadatha al-akiyas biman aqbara min al-ulama wal-sulaha bi Fas, a hagiographic text by the Moroccan scholar Jafa’ar al-Kattani documenting the saints of Fes – over 1800 in total. Through this research I am assisting in compiling a “pilgrim’s guide to Fes,” a guidebook to the city for contemporary visitors to the city of Fes. 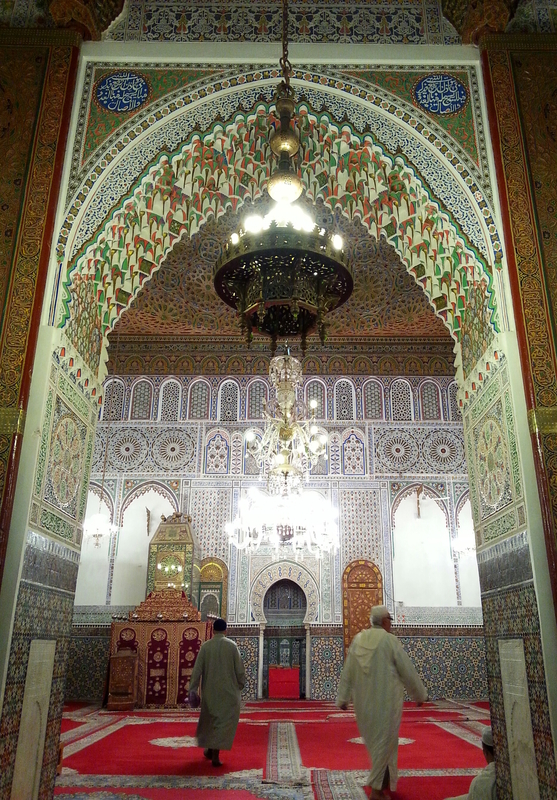 The saints of Fes are still actively visited by Muslims from across the world. It is my intention that this guide will serve as a practical, user-friendly introduction to an often hidden history of the city. While sainthood and pilgrimage are religious phenomena which span the Islamic world, the systemic visitation of Muslim saints is quite prevalent in North Africa. It is important to parse out what “saint” and “pilgrimage” mean in this context. A saint, in an Islamic context, is often referred to as a wali (pl. awliya) – a friend of God. Etymologically, the word is closely related to two terms – “waliyah” and “walayah” – which implies a sense of both spiritual and temporal authority, a Divine nearness in both the heavenly and earthly realms. It is the product of spiritual wayfaring, religious practice, and Divine bestowal. The Muslim saint, the wali, is not only a spiritually devout individual, but a socially and politically engaged member of a community. Thus, a pious scholar of the Qur’an can be as much of a wali as the anti-colonial freedom fighter. Often, the wali is also a sharif (pl. shurafa), a descendant of the prophet Muhammad. The relationship between awliya and shurafa often hinges on the concept of “baraka,” Divine energy and blessedness which radiates and can be passed on from holy individuals and locations. I want to explore the concept of baraka more fully in my next post as it will lead to a rich exploration of the various practices of saint visitation in Fes. The wali, thus, can be known for their actions, often miracles, rooted in the baraka bestowed by God. The theories of sainthood in Islam, including the well-developed concept of a hierarchy of saints, have been most fully developed among the Sufis. “Pilgrimage” in an Islamic context must be carefully nuanced. There is the legally-mandated Hajj, the once-in-a-lifetime pilgrimage to Mecca which has a range of legal and ritualistic prescriptions and is perceived as an essential religious duty. In addition to this is the ziyara, which is not an obligation and entails an optional visit to any other site of spiritual benefit such as to the homes of a living Sufi sheikh or the grave of a wali. The goal of a ziyara is often to obtain the baraka of the place or person, and one usually seeks the fulfilment of general or specific needs with that baraka. Pilgrimage is often used interchangeably for the two. In this context, it refers to the ziyara of awliya. In Fes, different traditions of ziyara have developed over the centuries. From this, a rich votive culture has developed from the quest for baraka. Each wali is known for different “specializations” of baraka, healing, and intercession – all terms that are not clearly delineated in context. 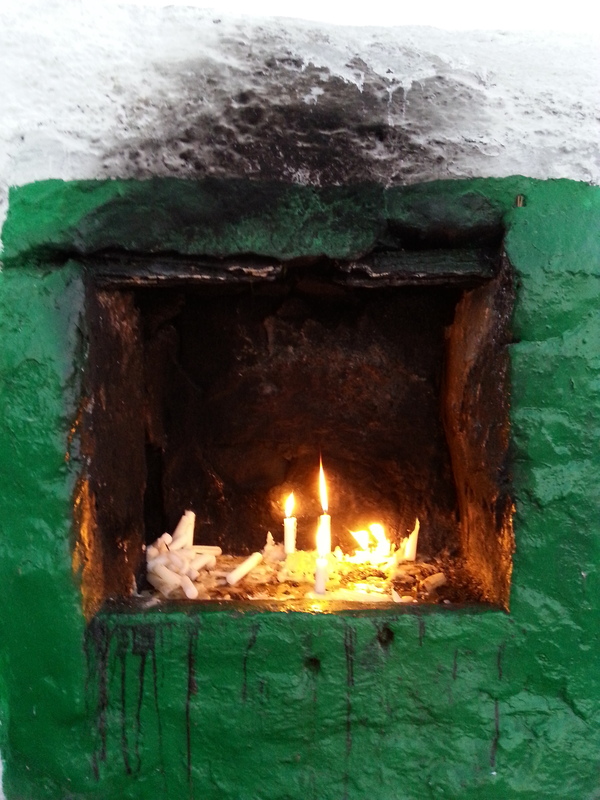 I am documenting the different rites and rituals associated with each site of visitation. Which items are brought as votive offering? What kind of healing, intercession, or manifestation of baraka is sought? How is this affirmed by the pilgrim? I hope to explore the material culture of votive offerings at the tombs of awliya. In my next post, I hope to offer several case studies of votive offerings in Fes.